Have you purchased LG G3 as awaited? You have to know the best ways in detail to use your mobile phone efficiently. You can listen to the following details to fulfill your desires about the most outstanding way to use this advanced mobile phone. The main attraction of mobile gadgets from the LG brand is its user-friendliness. You can use your mobile phone to change the layout of the on-screen keys according to your interests. You can prefer Dual Window, Qslide, and other options along with basic options namely Multitask, Home, and Back. If you get interested to use this mobile phone entirely, you can prefer the hidden menu button. Each key on your mobile phone has a set of additional options. You can activate these options and then use whenever you press a key for more than a few seconds. For instance, you can access the Dual Window when you do long press on the back button. 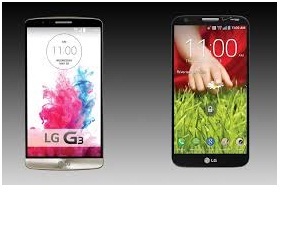 You can take advantage of different strengths of vibration available in the LG G3 mobile phone. You can easily identify incoming calls, messages, and other notification when you set every vibration strength option distinctively. You can reveal your lifestyle when you use this advanced mobile phone. You can easily customize the menu entirely by using simple steps. You can give importance to the most useful apps and keep away a list of unused applications on the menu. You can rearrange every option in the menu depending on your interests. If you do not wish to keep up the smart bulletin in the leftmost of your phone’s home screen, you can easily turn off it by using Home Screen > Device Menu and then change the Smart Bulletin to Off. Do you message often by using your mobile phone? You can customize the keyboard according to your convenience. You can choose phone settings and then Language and Input option. You can choose the features of your keyboard like height, numeric keys, and swipe typing option. Once you have done these changes, you can easily make sure that these changes come into effect or not. You may have different ideas to increase the security aspects of your mobile gadgets. If you are currently using LG G3 with a desire to enhance the overall security nature of this phone, you can set a knock code. The potential of the intuitive knock code supports you feel happy since you can professionally increase the safety of your mobile phone. You can unlock the LG G3 even though this mobile phone’s screen is off. If you do not wish to deal with unwanted clutter in your mobile phone, you can choose the Edit option in the quick settings. You can easily choose the whole quick settings depending on your desires on the space for notifications.